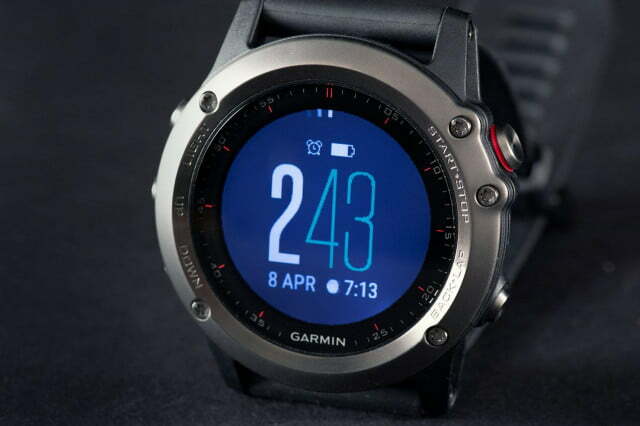 While there’s no hiding its size and ruggedly handsome design, the Fenix 3 sneaks in a long list of features -- many never seen together in one Garmin watch before. Yet at $500 – more than even the luxurious Apple Watch – it also has a lot to prove. Nearly everything about this Fenix has improved from last year, even if the look has remained. 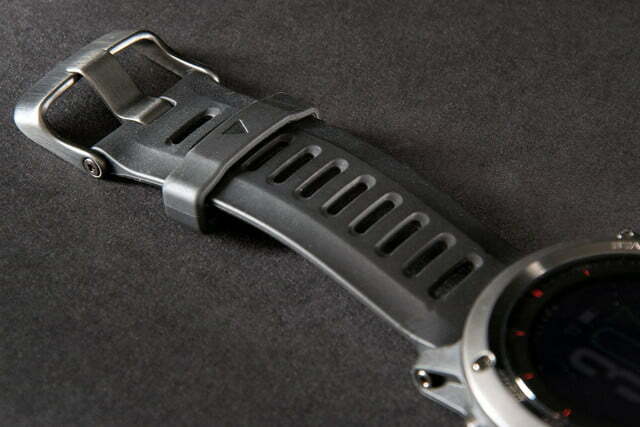 It claims a slightly larger wristprint, but also gets skinnier and lighter. The 1.2-inch diameter hasn’t grown, but now it features a “Chroma” color screen with nearly 10 times as many pixels. The waterproof rating has increased from 50 meters to 100, making it perfectly safe to wear the Fenix 3 while snorkeling, or just swimming down to the drain in the deep end of the pool. 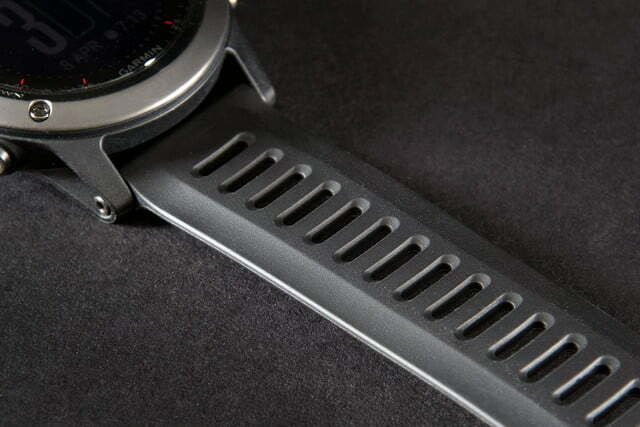 The Fenix 3 case features a stainless-steel bezel and five buttons: three on the left of the face, and two of the right. The buttons on the left control the LED backlight, and scrolling up and down. The top right button starts and stops activities as well as acting as an “enter” button, and the lower right is used to move back through menus or to mark lap times during activities. The expanded list of supported activities now includes: XC skiing, ski/snowboarding, climbing, hiking, trail running, running, indoor running (non-GPS), biking, indoor biking, pool swimming, open-water swimming, and triathlon (formerly listed as Multisport). 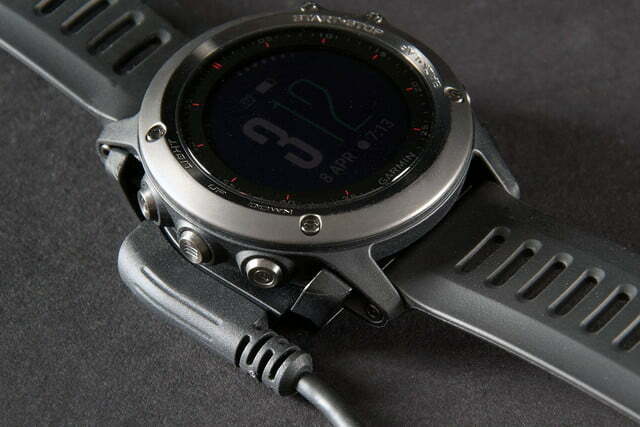 For hikers, runners, swimmers, and cyclists, the Fenix 3 does it all. 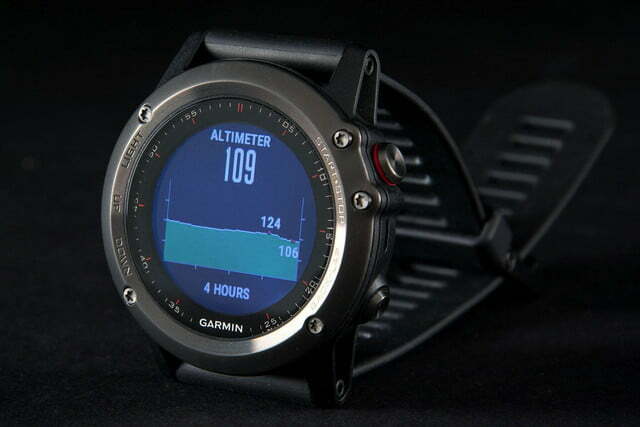 Because the watch is equipped with ANT+ (Garmin’s wireless communication protocol) it can connect to a wide variety of sensors from heart-rate monitors to foot pods, bicycle power sensors, and even external thermometers you can clip to a pack. These connected sensors (sold separately) add even more color to the activity-tracking data mix. 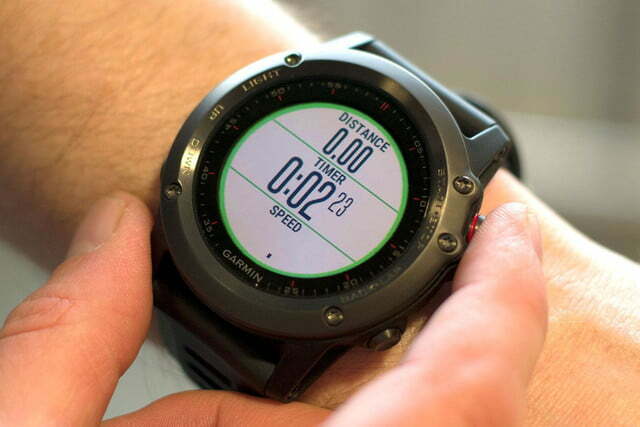 For those who want to share their activities with friends and family, the Fenix 3 works with Garmin’s LiveTrack for the Garmin Fit or Garmin Connect apps. Just add email addresses, and they’ll get an email inviting them to follow along on the user’s activity with live location, average speed, time on the activity, and distance traveled. 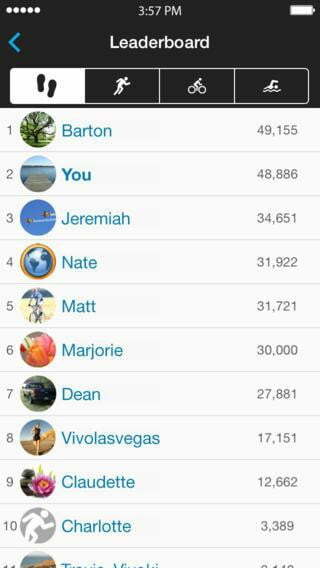 It will even share the amount of elevation the user has gained in real time. 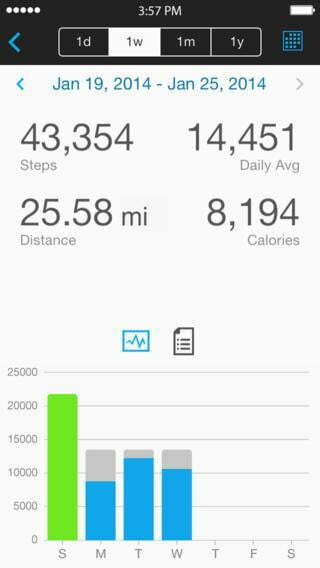 All the popular functions of fitness trackers also appear, from step tracking to calories burned, and even the popular “move” bar that reminds you take get off the couch periodically. Garmin’s new Connect IQ Store lets users download and install additional Garmin and third-party apps and widgets that give the Fenix 3 even more functions and customizations, making this one of the most customizable GPS watches we’ve ever tested. The Fenix 3 is available in three different configurations: Grey with a black band, silver with a red band, or the top-of-the-line edition with a domed sapphire glass crystal. Inside the box, you’ll find the watch and black band, a USB charging and cable, a USB outlet power brick, and a quick-start guide. You don’t need a smartphone to get the Fenix 3 running, but you’ll need to sign up for a Garmin Connect account if you want to save GPS data. 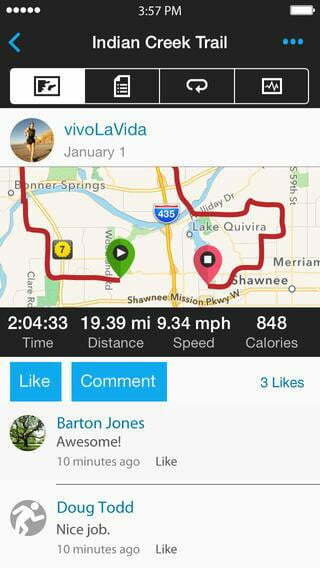 The easiest way is with the Garmin Connect app for iOS and Android. You’ll answer a few questions about gender, age, height and weight, then be asked to pair the watch via Bluetooth. But nearly all of the Fenix 3’s settings are controlled on the watch, not the app. This lets you control everything without a phone nearby, but it requires scrolling through layer upon layer of menus and data screens by pressing tiny buttons. This can get tedious. For example, setting the Fenix 3’s single, solitary alarm required pressing the watch’s various buttons more than 20 times. Customizing the layout for different screens is even more complex and time consuming, so getting the watch personalized can take patience and tough fingers. 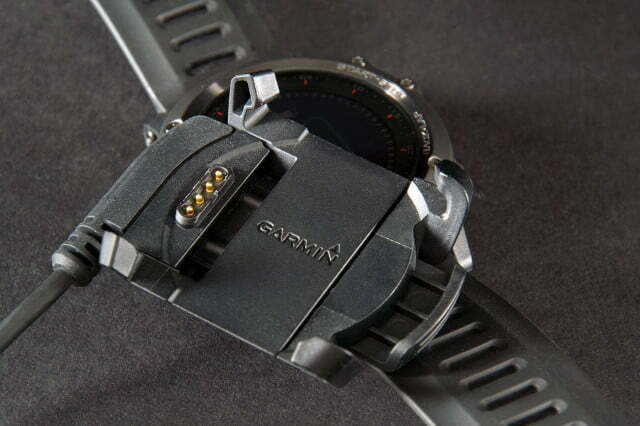 Garmin fans have come to expect this kind of button twiddling, but why not let us just use the app, with the watch controls as a backup in case it’s not around? 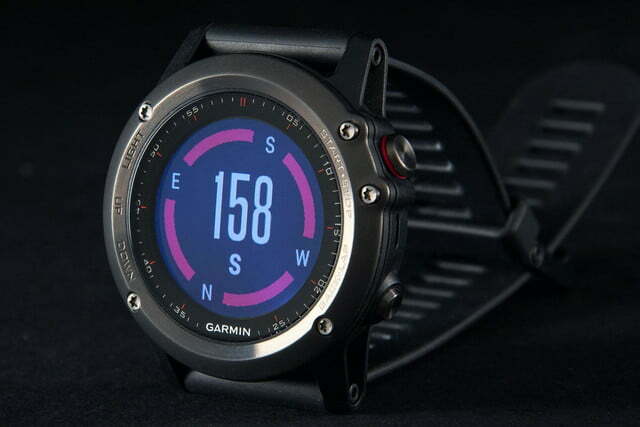 Adding fitness tracking to a normal looking watch is probably the smartest thing Garmin has done lately. 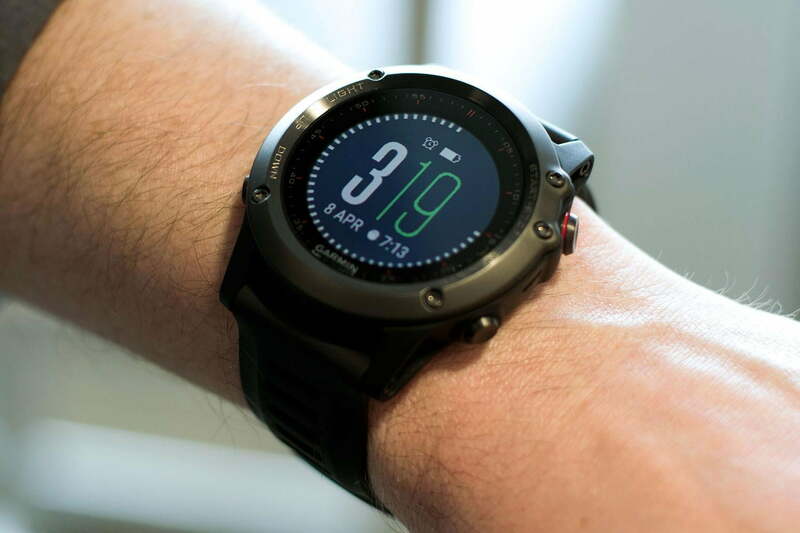 The Fenix 3 has a certain heft to it, but feels good on the wrist, and not as clunky as the Fenix 2. 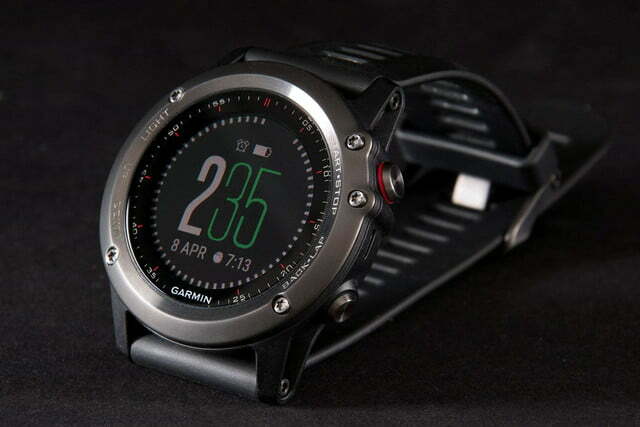 Some of that could be the design, or the way it sits lower on the wrist. Either way, it’s a good thing. The crisp, bright new 218 x 218 pixel color display is also a vast improvement. While many digital watches are nearly impossible to read in direct sunlight, the Fenix 3 almost looks better in it. Data graphics look so sharp, we continually found ourselves wanting to use the display as a touch screen, which it most definitely is not. 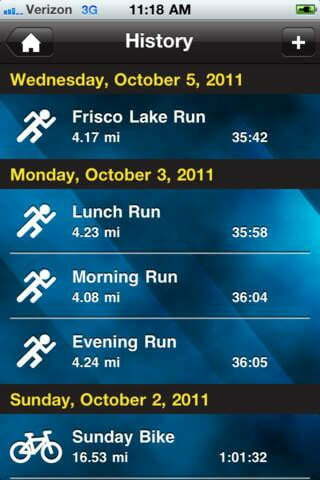 Using the watch to record an activity is where it truly shines. 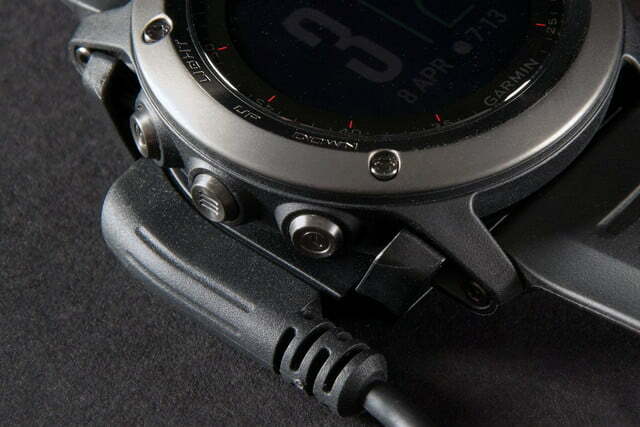 With previous versions of the Fenix, we found ourselves waiting for up to a minute or more for the watch to locate the proper satellites, now with the Fenix 3’s “stainless steel EXO antenna” the GPS seems to lock in within seconds. 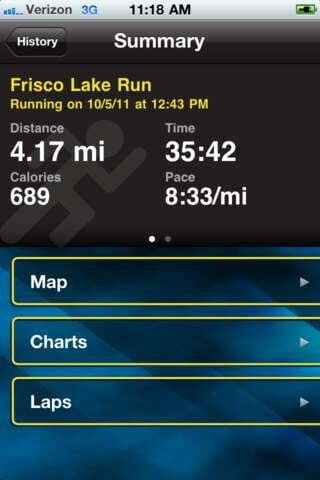 Some interface tweaks also make selecting the right activity even easier. 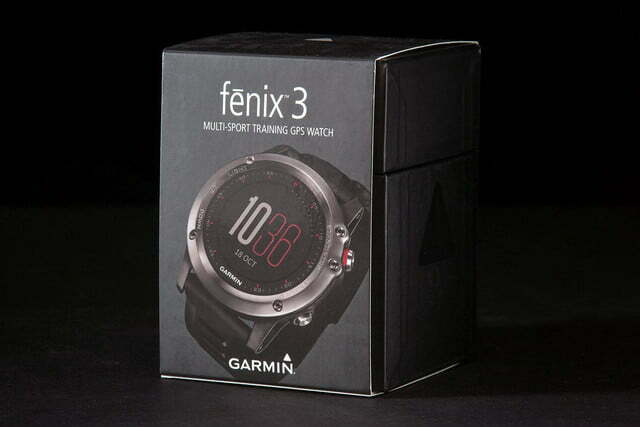 At first, we thought the new fitness-tracking functions on the Fenix 3 were redundant with GPS. 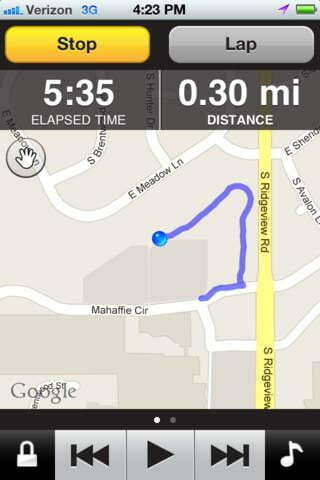 Why count steps and calculate distance when the GPS could keep track of exactly how far we walked? 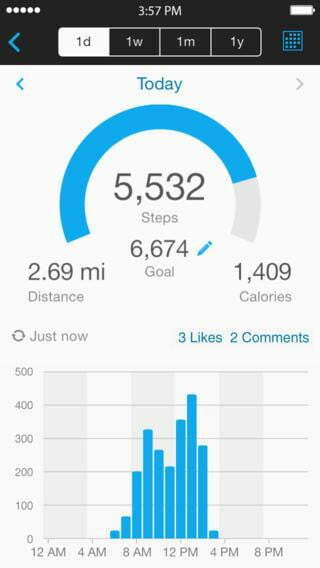 But after wearing it, we realized it was fun to track steps and calories burned all day, without having to turn GPS on and off. 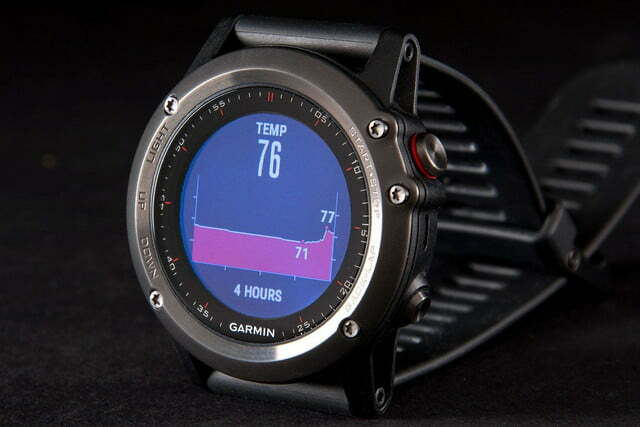 Adding fitness tracking to a normal looking watch is probably the smartest thing Garmin has done lately. 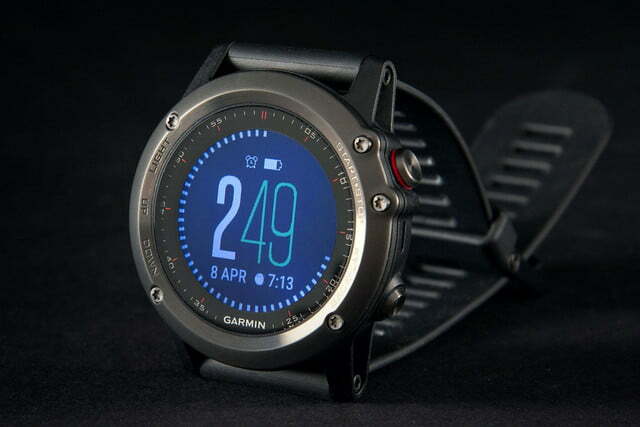 The only bummer is that Garmin’s attempts at sleep tracking are still hampered by the app’s lack of sleep detail. 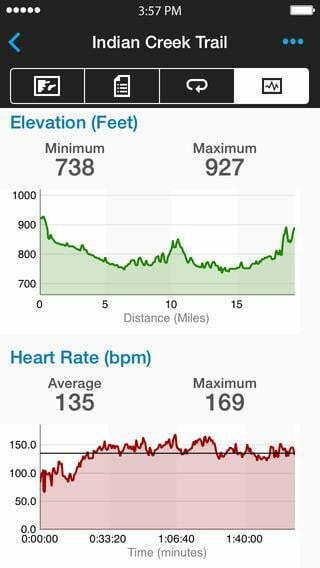 All Garmin Connect shows is the amount of movement the wearer has during the night; it impossible to discern which movements were getting up out of bed and which were simply rolling over. 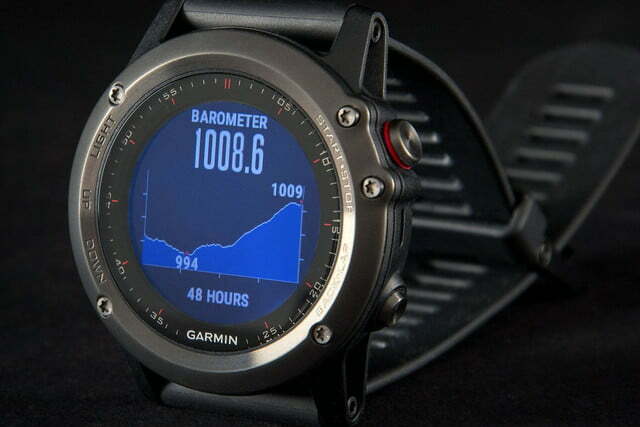 We really wish Garmin would fix this. Smart notifications put call, text, email, and other app notifications on your wrist, and turned out to be surprisingly useful. We found that the more we wore the Fenix 3, the more it became a convenience we can’t live without. 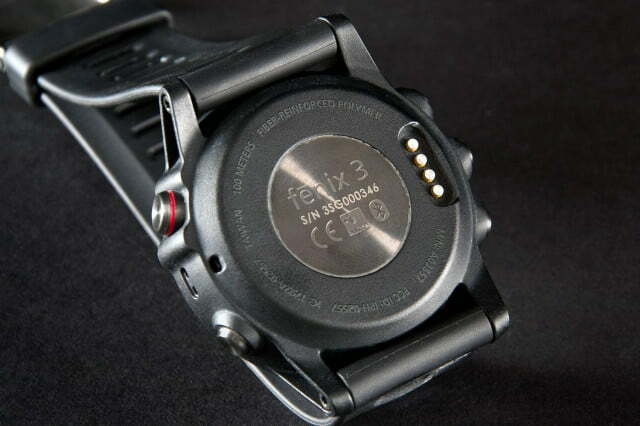 For hikers, runners, swimmers, and cyclists, the Fenix 3 does it all. 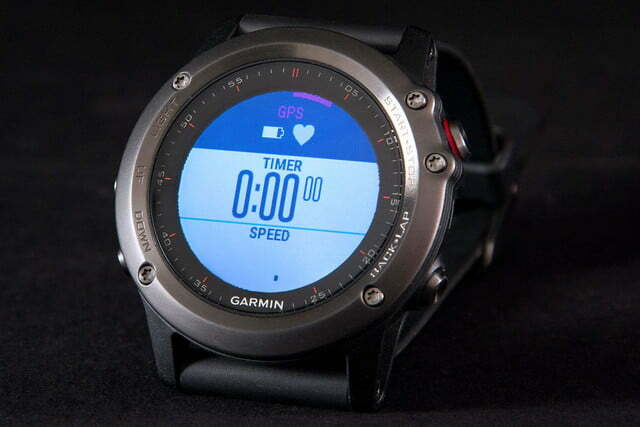 It has the navigation features hikers need, the pace and cadence data runners like, and includes all the metrics professional cyclists need for serious training — all in one watch. There is no better “all in one” device. For those interested in only one of the activities, there may be better options. 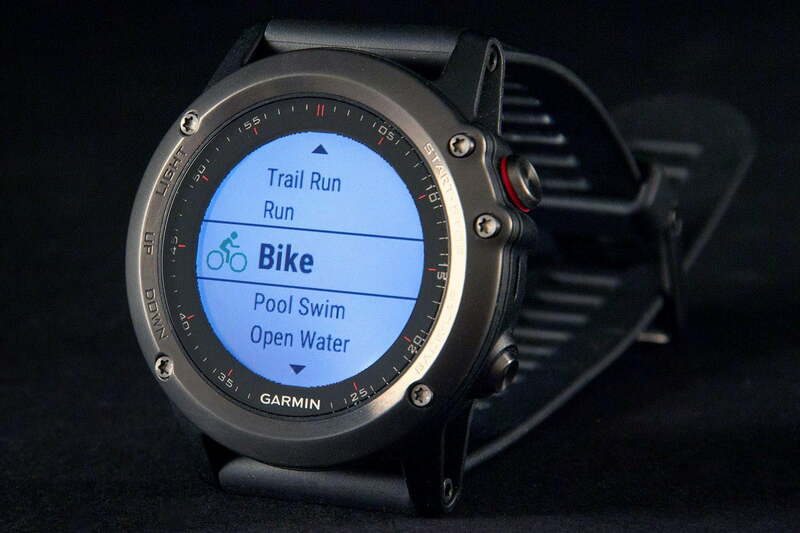 There are smaller, lighter running watches, sleeker swim watches, and dedicated bike computers that present the data in a larger, easier to read format. 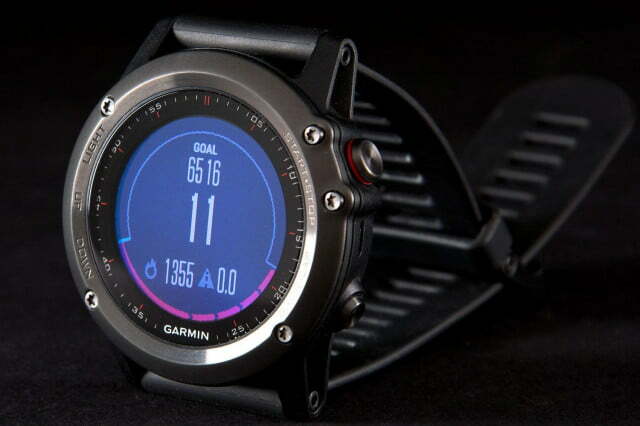 But for athletes who like to track it all without having to buy three watches and a bike computer, the Fenix 3 is perfect. 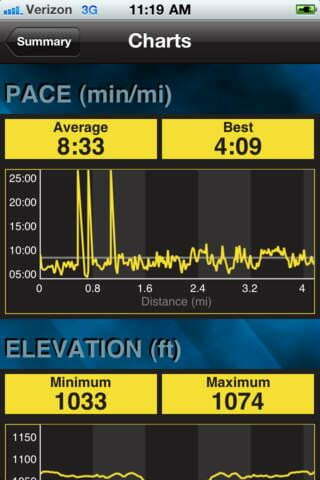 Between runs and rides, fitness tracking and notifications kept the watch on our wrist all day. And if we accidentally find ourselves swept up in a 5K, an open-water swim, or a bike race, we’re ready. 24/7. And being ready is half the fun.